Do you have the social media monkey on your back? In this article, Kelly Lin shares her secrets for how she shook free of the social media procrastination beast to ace Year 12. In this article, Carlingford High Student Kelly Lin shares her secrets to overcoming social media to ace Year 12. I enjoyed the mathematical components of Chemistry, especially the calculations. This is a subject which requires a strong conceptual understanding. I struggled to connect the topics together because I initially struggled to understand the fundamental concepts. Hence, I found it difficult to correlate the ideas into one. During the periods leading up to exam blocks, like any year 12 student, I was extremely stressed. However, I found that by taking regular breaks whilst studying (by working out or going out for a run), I was able to clear my mind and not think about school, so by the time I came back to study again, I was refreshed and rejuvenated. During the holidays, I attended the Matrix Chemistry accelerated course (9:30am – 12:30pm). I would finish the homework on the day, which would take around 30-45mins. Then I would usually just chill and relax. The exception was during the holidays before trials. Then, after my lessons, I would complete 3-4 past papers depending on how much time I had left. Then I’d mark them when I was done. When year 12 started, during the term, I followed a study timetable, which consisted of homework, assignments and doing past papers. At the start of the week, I would fill out the table, changing and altering the schedule to suit my upcoming assessments. In conjunction with using my study timetable, every night, I would plan out my “to do list” for the next day using sticky notes. I carried this in my pencil case, crossing off each task as I went. This ensured that I used my time efficiently, also enabling me to experience the euphoric feeling of scrunching up the note once I finished. Everyone always goes on and on about the importance of HSC and ATAR in determining whether or not you would get into your dream course. So, naturally, I envisioned myself following a strict study schedule, being super organised, sleeping 9 hours every night and not letting myself be distracted by Facebook, Snapchat, YouTube and Instagram. But as with most teenagers, procrastination, that devil … inevitably comes and bites you in the back. 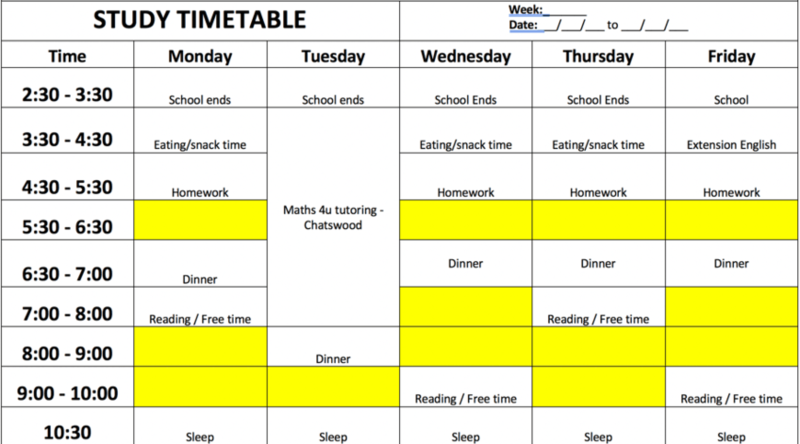 For the first few weeks of year 12, I stuck somewhat strictly to this schedule, however as time went on and stress gradually built up, I struggled to maintain the same work ethic I had at the beginning of year 12. I found it hard to find the motivation to study. Rather than getting on with it, I found myself scrolling down my endless Facebook timeline and lunging for the Instagram explore pages. To combat this issue, I set small weekly goals of what I wanted to achieve and found effective methods to limit procrastination. During this period, on a weekly basis, I spent around 20-30 hours on Facebook, Snapchat, Instagram and YouTube. To get on top of this, I deactivated Facebook, deleted the Instagram app from my phone, and disabled notifications on Snapchat and YouTube. But Instagram and YouTube were still accessible from my laptop, so I used a Chrome Website Blocker. This meant even if I had the urge to go and scroll down the pages, I was forced to stop. My lack of motivation also arose from my inability to focus when I didn’t have deadlines due in the coming week. I consequently set weekly goals and wrote down my “To Do List” on a sticky note. When I finished each task, I would cross it off; the feeling of scrunching up the sticker and chucking it is exhilarating. I found that when I lost the motivation and drive to study, I would give myself a “quick” 10 min break to go on my phone. However, subconsciously, I found myself scrolling and scrolling down Facebook and Instagram, and before long, 1 hour had gone by. By envisioning the end result, a place in my dream university course, I taught myself to be self-disciplined, listening to music whilst studying to regain my focus. Deciding whether you want to do the Matrix holiday courses or term courses really depends on personal preference and ability to process information within a given time span. In my opinion, I think holiday courses are beneficial for the sciences, as the content is not too dense, with many not requiring a solid conceptual understanding (Eg. Chemistry is mostly rote learning). However, for Maths, which is a skill-based subject, you need to learn how to continually correlate the concept. For Maths, I found going to a term course more beneficial. 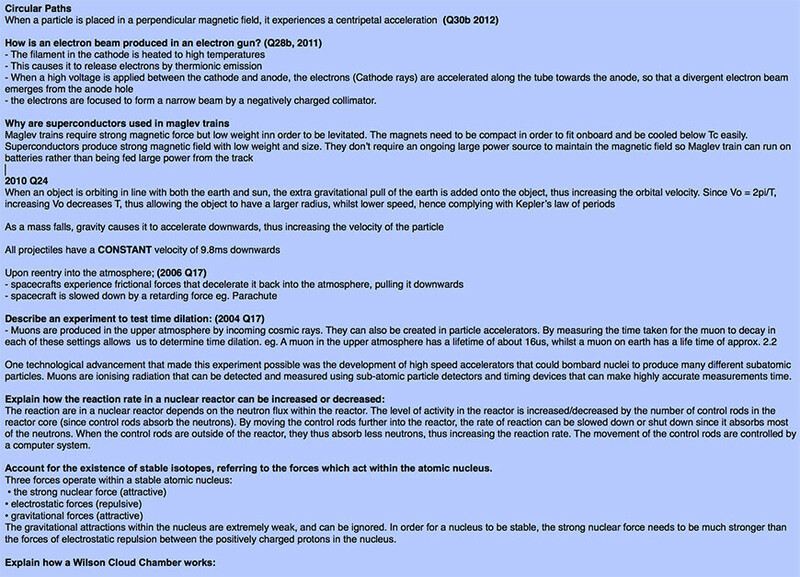 As, over the course of a week, I was able to fully understand and consolidate the information! For multiple-choice and short response questions (questions 1-4 marks), answer the question in your head and then check your answer with the marking criteria. 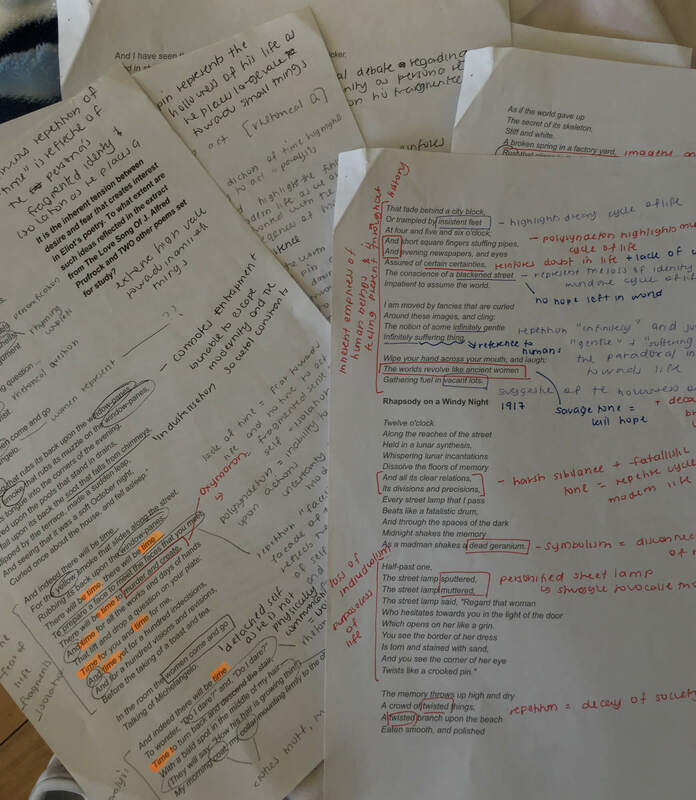 For long responses (5-8 marks), write out a full answer for the first few questions you do, then once you get the hang of it, for the rest of the questions, write out a plan and mark your plan according to the marking criteria. When doing long responses, ALWAYS PLAN YOUR ANSWER! Image: When doing practice papers, plan first! By planning your answers, you increase your chances by getting the marks you actually deserve, rather than only getting 3-4 marks from a 7-mark question because you forgot to add enough detail. This method allows you to continually check with your plan as you go to ensure you actually answer the question to the level of detail required for full marks. I found the most effective way to not fall behind in English (especially advanced) was to work consistently throughout the year. This meant compiling my English notes by themes, techniques and quotes. 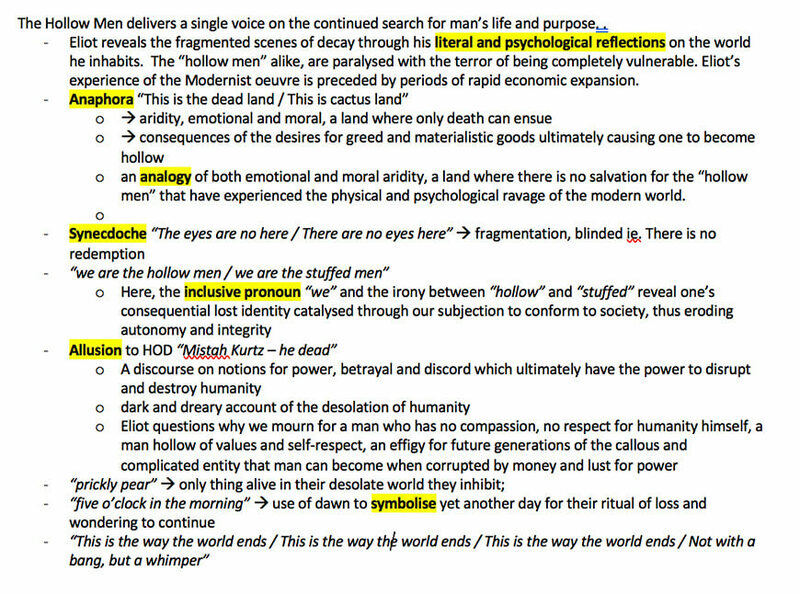 So, by the time HSC came around, I had a solid set of notes that I could memorise and use in my essay. This meant I didn’t have to rely on prepared essays. 2-3 weeks before exam blocks, I would do LOTS of past papers under timed conditions and mark them STRAIGHT after I finished. I’d learned that if I didn’t mark it straight away, I would usually not mark them at all. Marking these is essential for consolidating what you’ve learned. When going through past papers, note down the questions you either got wrong/partially wrong. Go back to your textbooks and go through that topic/dot point. Learn the information until you fully understand it. Reattempt the questions you got wrong a few days later to check you have fully understood the concept. Use your reading time wisely. Do not try and do multiple choice during the reading time as you can often make silly mistakes. Instead, go through the paper and look for the questions you find hard or difficult. If you do this, your brain will subconsciously work on the problem while you solve other questions. You can subconsciously come up with a solution to that particular question, saving time in the long-run. If I could start the year again, I would have definitely taken more regular breaks during the holidays and studied less during the break transitioning from year 11 to year 12 so I could actually focus more during term 4. Due to the continuous pressure and stress from year 11 and the build-up of pressure leading into year 12, I “burned out” and essentially was not motivated to study. Furthermore, I would have used the summer holidays more effectively, by focusing on physics – my weakest subject, rather than perfecting my exam techniques in other subjects as a few extra marks in physics, in comparison to one extra mark in Maths, would have boosted my overall ATAR. When choosing your subjects, always make sure to choose a subject you enjoy and think you can do well in. 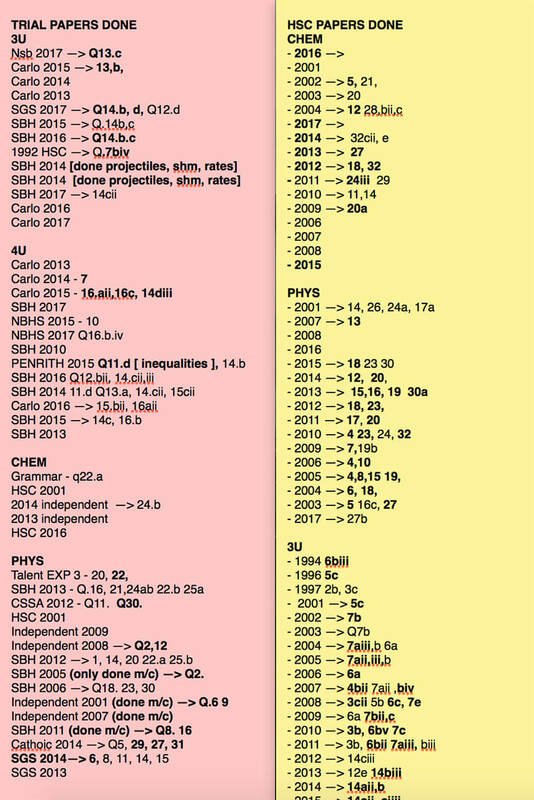 Everybody always talks about choosing the “high scaling” subject in hopes they will get the ATAR they want, however, doing badly in a high scaling subject is most often worse than doing well in a “low scaling” subject. 1. Don’t let others influence you or your subject choices. This is YOUR HSC, not your parents, siblings or teachers, so choose the subjects you enjoy and feel you can do the best in. 2. Work smarter, not harder! In Maths Ext 2 exams, Q11 and Q12 are the standard types of questions which show up almost every year. Once you have perfected answering these question types, you should focus on the harder questions which vary from year to year (Q15 & Q16). So, in order to maximise your marks, focus on the last “weird” and “challenging” questions in the exam instead of doing 1000 practice standard questions in order to perfect them. You may think to yourself that you’re just going to skip the whole of Q16 because it is “too hard” and “difficult”, however, more often than not, you can find that you can scrape 5-6 marks out of 15 just by attempting the questions as they are often easier than they appear. 3. Take regular breaks between studying and doing what you enjoy. 1. Never get too self-satisfied. Doing well in one exam or assessment does not mean you will continually do well in your other exams. Stay humble and study smart. 3. Doing badly in one exam does not define how good you will do in your HSC. Take time to cry and scream into a pillow (for maybe a day… or two… I low key did that), however, don’t feel demolished, use the bad result as a motivation to work smarter and harder. 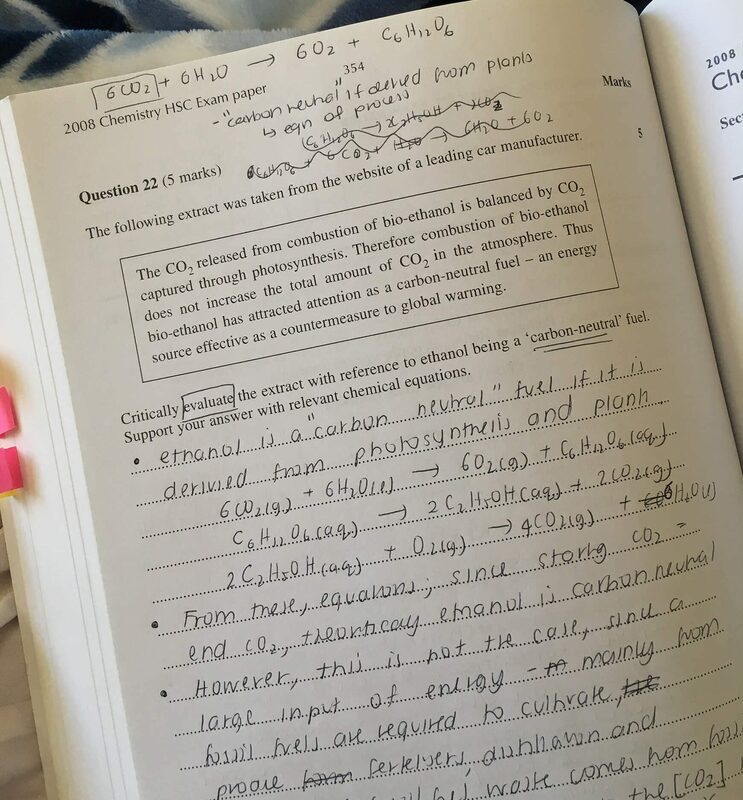 Want to ace Chemistry for your HSC like Kelly did? Get ahead of your peers with our Year 12 Chemistry Holiday Accelerated Course. With advanced completion of contents before it’s taught at school, you’ll be well-prepared for your next assessment. Learn more about the Year 12 Chemistry Holiday Accelerated Courses.